Among all the major breaking news stories this week, one curious development has been the status of former Sanity member Alexander Wolfe. 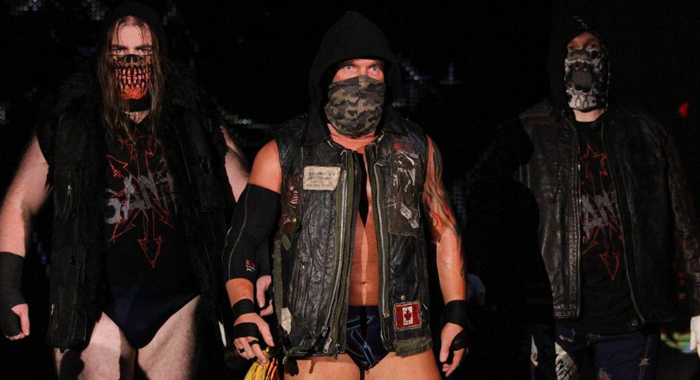 After Eric Young was traded to the Raw brand during the WWE Superstar Shake-Up, both Wolfe and Killian Dane issued statements looking back on their time with their fellow faction members, effectively confirming the end of the stable. The big difference between the two statements was that Wolfe actually said “goodbye” to not only Young and Dane, but the entire Smackdown roster and the WWE fans as a whole, leading many to believe that he may have asked for his release from WWE. However, according to a report from Pro Wrestling Sheet, Wolfe may not actually be on his way out of the company after all. Sources apparently told the outlet that the German Superstar is still under contract with the company, and in fact he might be headed back to the NXT brand. Given all the chaos this week with dozens of names changing brands, and a few other notable names actually leaving (or attempting to leave) WWE, we recommend taking this story with a grain of salt until any official moves are made, one way or another.